Wheelersburg sophomore J.J. Truitt finished with 26 points in the Pirates home win over Greenup County. 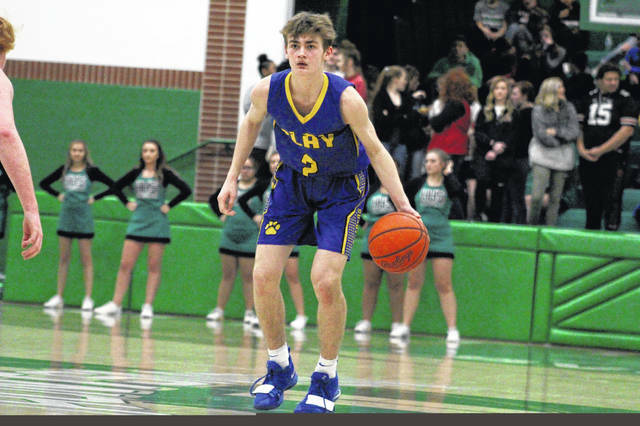 Tanner Holden finishes at the rim for two of his 31 points against Greenup County Saturday night. 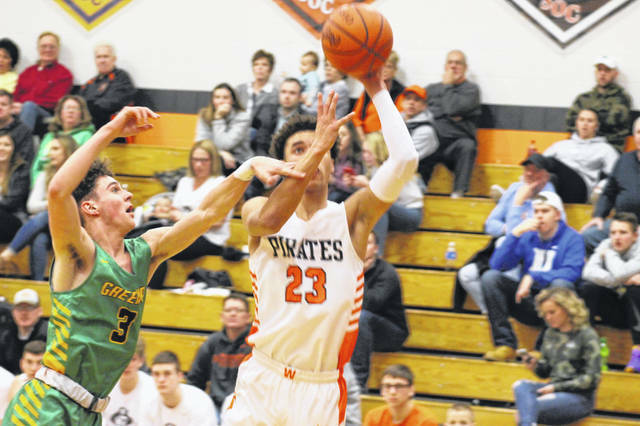 Wheelersburg senior Trent Salyers attacks the rim against Greenup County senior Eli Raby in the Pirates hom win Saturday night. 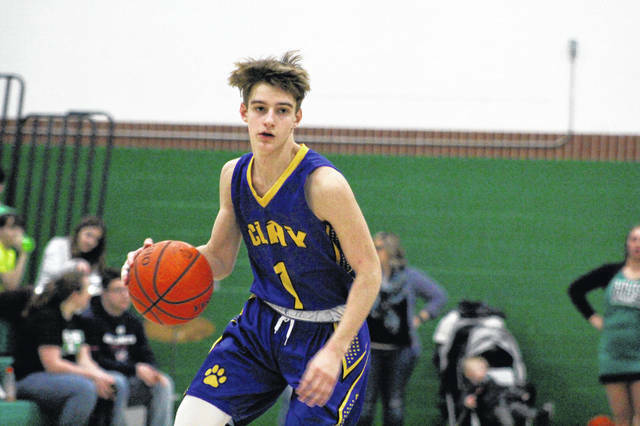 Clay (5-15) feel to Huntington Ross in a non-conference battle Saturday evening. Statistically, Chase Hudson led the Panthers with eight points and three rebounds while Shaden Malone scored seven points and added four boards. Reece Whitley also helped out, scoring five points. Clay: 12-39 FG, 8-12 FT, 3-17 3pt. (Hudson 2), 26 rebounds (Whitley 4, Mathias 4), 16 turnovers, 2 assists (Newton 1, Cottle 1). Scoring: Hudson 8, Mathias 8, Malone 7, Newton 6, Whitley 4, Baegan 1, Moore 1. Huntington: 22-42 FG, 8-17 FT, 7-20 3pt. (McCloskey 2, Snyder 2), 29 rebounds (McCloskey 9), 9 turnovers, 16 assists (McCloskey 7). Scoring: McCloskey 16, Knoles 10, Snyder 9, Fisher 7, Beeler 5, Kinzer 4, Roop 3, Cox 2, Haines 2, Haubeil 1. 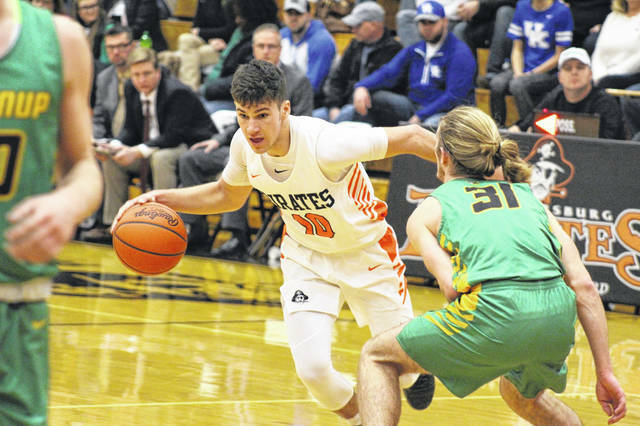 The Pirates (20-0) stayed undefeated Saturday evening with a 28-point win over Greenup County (Ky.). Tanner Holden scored 31 points in the win, J.J. Truitt had 26 and Connor Mullins added 14. Greenup: 24 FG, 13-19 FT 1 3pt. (Robinson 1). Scoring: Nelson 20, Raby 13, Robinson 10, Keeton 6, Carter 5, Evans 2, Walker 2, French 2, Gibson 2. Wheelersburg: 35 FG, 6-10 FT, 14 3pt. (Truitt 7). Scoring: Holden 31, Truitt 26, Mullins 14, T. Salyers 6, J. Salyers 5, McCorkle 4, Miller 2, Maxie 2. In a non-conference game, West (6-13) fell to Manchester by a 10-point margin. Leading the Senators statistically was Nick Davis with 27 points while Dylan Bradford and Jesse Johnson both had 10. Manchester: 24 FG, 14-15 FT, 10 3pt. (Redmon 5, Reeves 5). Scoring: Redmon 21, Reeves 19, Scott 12, Colvin 8, Ricketts 2. West: 24 FG, 8-10 FT, 11 3pt. (Davis 4). Scoring: Davis 27, Johnson 10, Bradford 10, Berry 7, Howard 7, Bauer 6. In an SOC II contest, Minford (16-6, 11-3 SOC II) had little trouble with Waverly Saturday night. Leading the Falcons in scoring was Caitlyn Puckett with 10 points while Livi Shonkwiler and Ashley Blankenship finished with nine apiece. The Tigers (13-8, 7-7 SOC II) were led statistically by Kami Knight with 15 points. Minford: 26 FG, 4-5 FT 4 3pt. (Wolfenbarker 2). Scoring: Puckett 10, Shonkwiler 9, Blankenship 9, Wolfenbarker 7, Slusher 7, Tolle 7, Watters 5, Watters 2, Brumfield 2. Waverly: 13 FG, 3-7 FT, 4 3pt. (Smith 2). Scoring: K. Knight 15, Smith 6, C. Knight 4, Willis 3, Robinson 3, Collett 2. 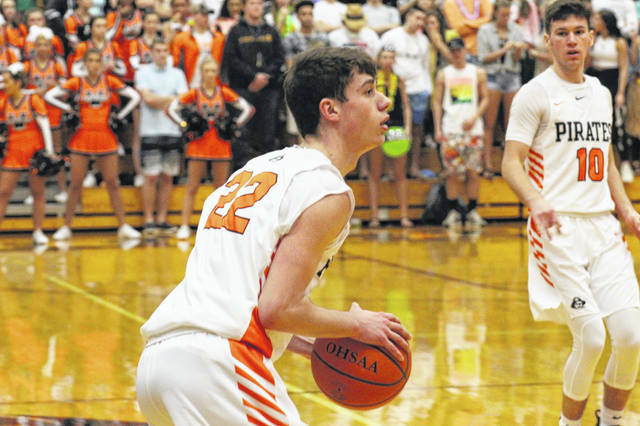 Notre Dame (21-1) finished their regular season with a 38-point win over Belpre Saturday. The Titans were led by Katie Dettwiller’s 14 points, followed by Isabel Cassidy’s 11. Ava Hassel ended with 11 points and Taylor Schmidt added eight. Notre Dame: 18 FG, 12-15 FT 2 3pt. (Hassel 1, Cassidy 1). Scoring: K. Dettwiller 14, Cassidy 11, Hassel 11, Schmidt 8, C. Dettwiller 4, Schaeffer 2. Belpre: 4 FG, 2-8 FT, 2 3pt. (Lafatch 2). Scoring: Lafatch 6, Waderker 5, Spenser 1.